Afghan intelligence officials said Sunday they seized a truck in Kabul carrying more than 16 tonnes of explosives hidden in boxes marked as poultry feed. An Afghan police officer inspects vehicles at a checkpoint in Kabul, Afghanistan August 6, 2017. Afghan intelligence officials said Sunday they seized a truck in Kabul carrying more than 16 tonnes of explosives hidden in boxes marked as poultry feed, months after a truck bomb killed about 150 people. The truck, with Pakistani license plates, was seized in District 9 of the capital, the National Directorate of Security said in a statement, adding that five people were arrested. "It was loaded with explosives to make bombs, suicide vests and conduct terrorist activities in Kabul," the statement said, adding that 16,500 kg of explosives was seized. 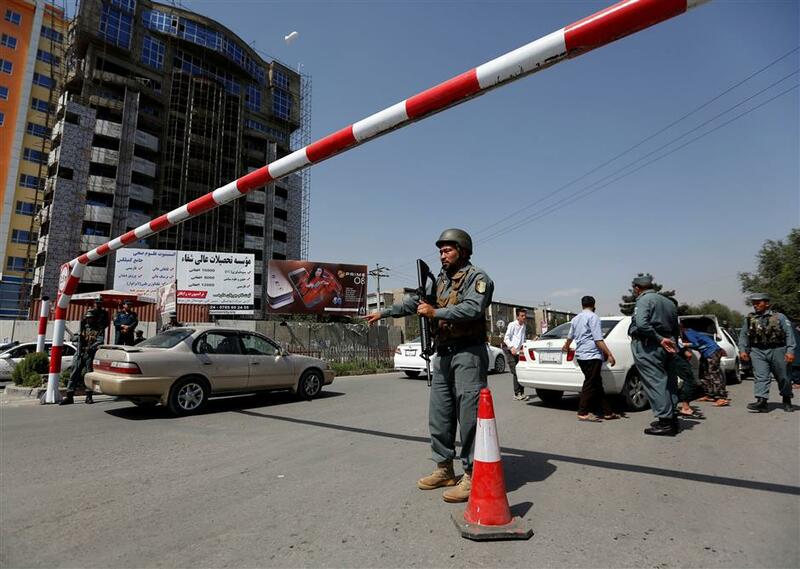 On May 31 a massive truck bomb ripped through the Afghan capital's diplomatic quarter during the morning rush hour, killing about 150 and wounding around 400 people, mostly civilians. No group claimed responsibility for the attack that was caused by over 1,500 kg of explosives hidden in a sewage truck, according to Western officials. Taliban militants rarely claim responsibility for attacks that kill large numbers of civilians. The militants have intensified their attacks since they launched their "spring offensive" in late April, with civilians bearing the brunt of the conflict. According to UN figures, more than 26,500 civilians have died and nearly 49,000 have been injured as a result of armed conflict in Afghanistan since January 2009.